MJR&L Vol. 20 Executive Editorial Board members at the Journal Open House. 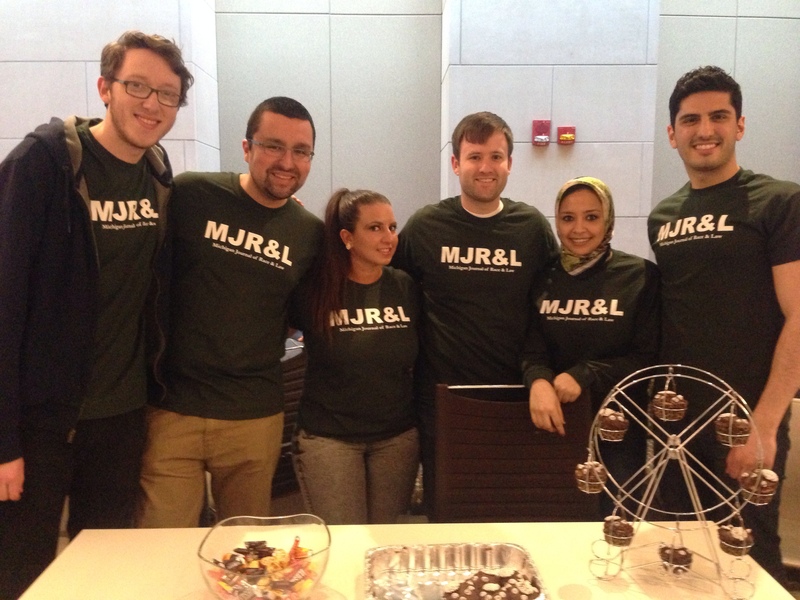 From left: Andrew Goddeeris, Joseph M. Flynn, Maria Litsakis, Aaron W. Walker, Noha Moustafa, and George M. Barchini. 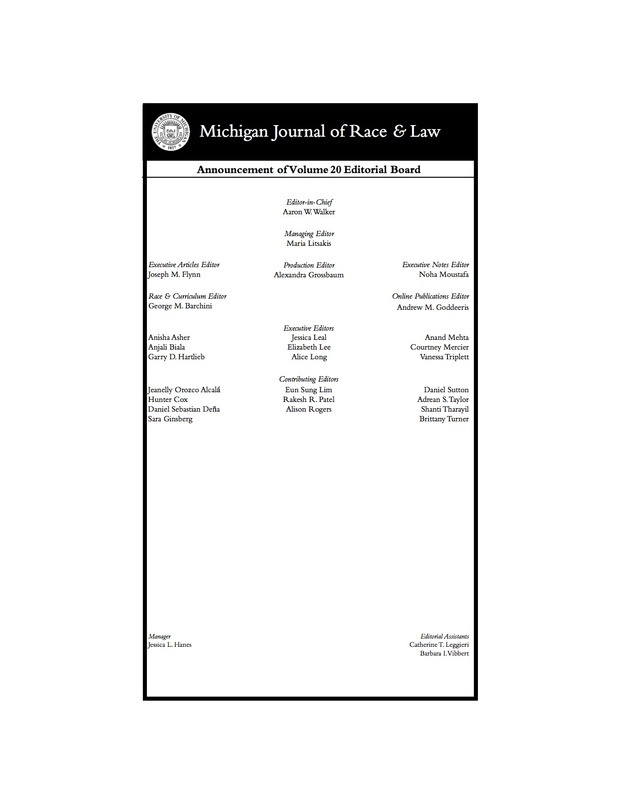 The Michigan Journal of Race & Law is pleased to announce the Editorial Board for its historic Volume 20.